You are here: Go to home Breadcrumb Separator News Breadcrumb Separator Kids are just the excuse! 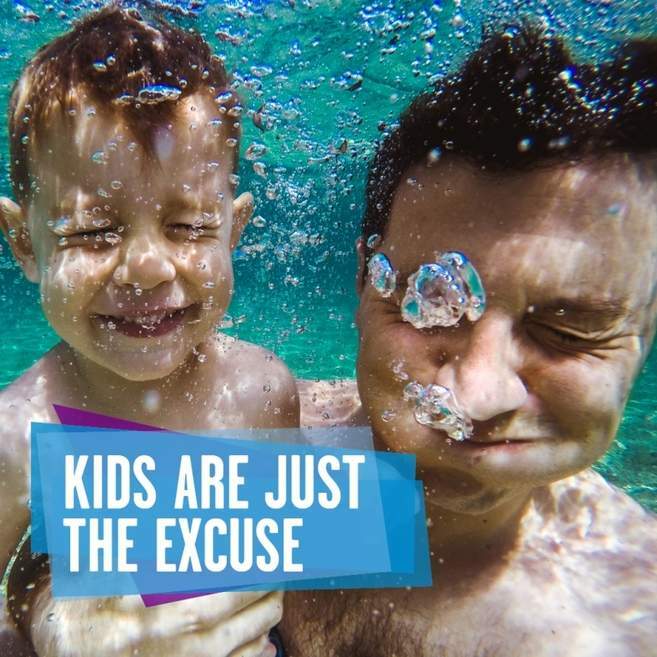 New research reveals one in four parents feel too busy to spend enough time with their kids. Long working hours, lengthy commutes and exhaustion are partly to blame; with nearly 3 in 10 saying they leave the house at least once a week without seeing their children. If you can relate to this and feel as though you are finding it difficult to fit time in with the family, let us help! We have just what you are looking for at Wellington Sports Centre. With a wide range of activities, why not bring the whole family along to enjoy swimming in one of our family fun sessions? You could even try squash or badminton and if you have very young children why not come to Crafty Rascals or Creepy Crawlies? Both the kids and adults will benefit from the quality time spent together and the encouragement to keep your children active and healthy. Details of all of our courses and activities are below -so what are you waiting for? Let the kids be your excuse to head over and have some family fun!